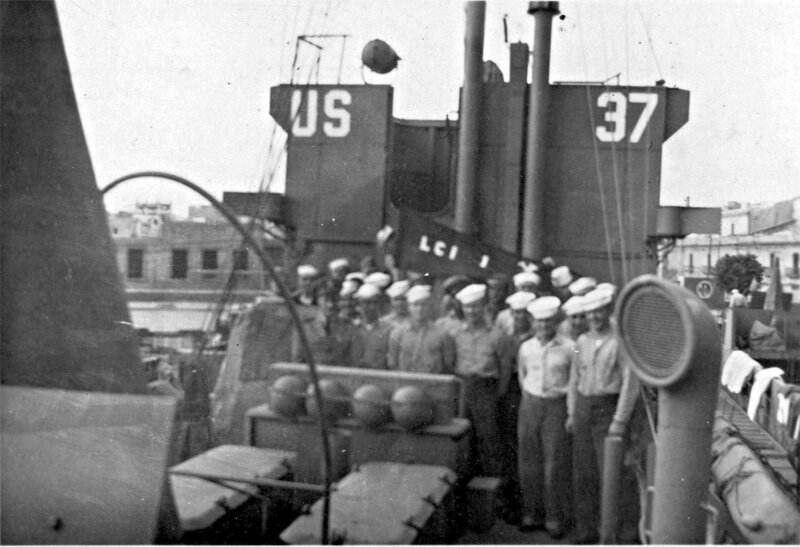 Laid down, 17 October 1942, at New York Shipbuilding Corp., Camden, N.J.
273k USS LCI(L)-37 crew photo. 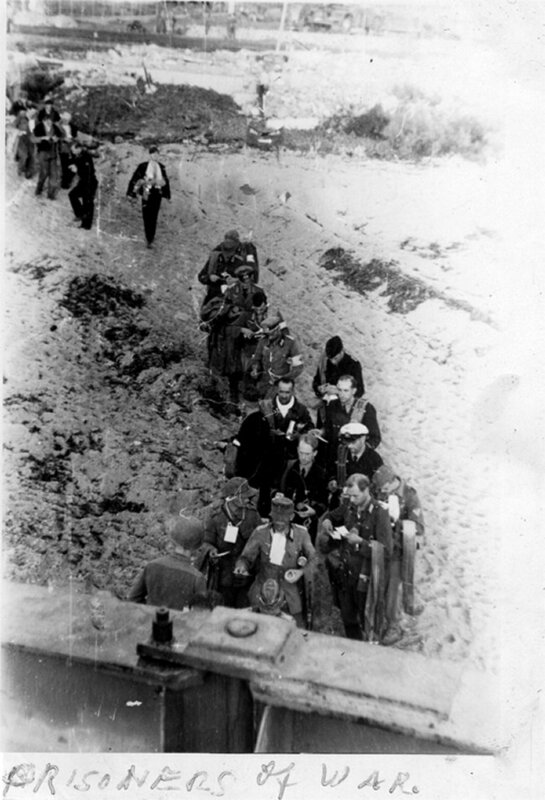 Ed Burnett is in the center back row, date and location unknown. Glenn Burnett in honor of his Father Charles "Ed" Burnett SM3/cUSS LCI(L)-37. 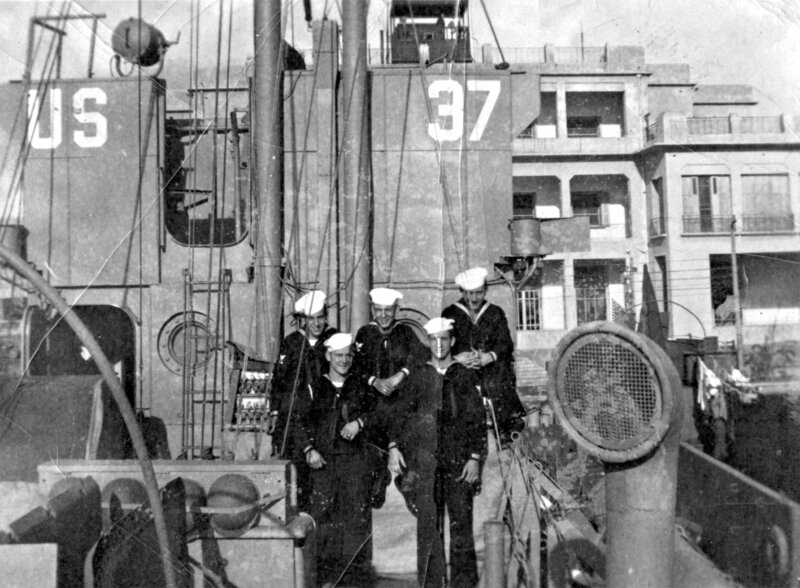 322k Partial USS LCI(L)-37 crew photo, date and location unknown. Glenn Burnett in honor of his Father Charles "Ed" Burnett SM3/cUSS LCI(L)-37. 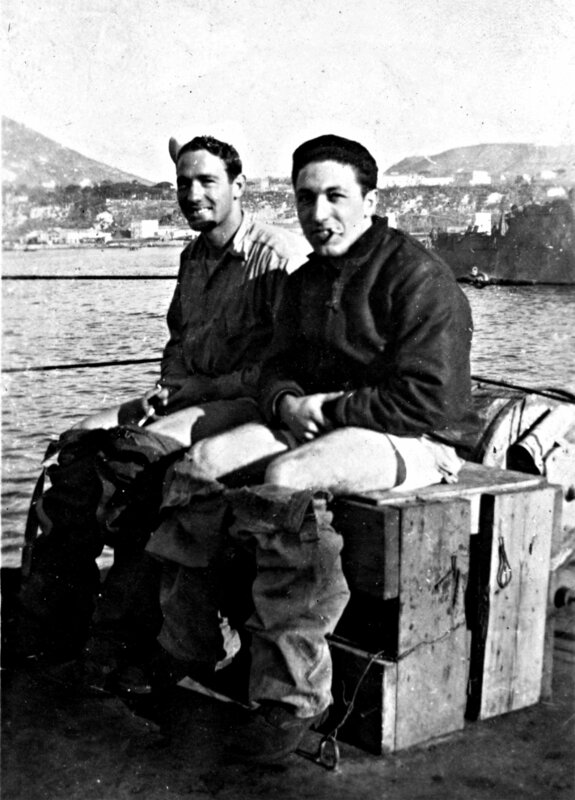 439k Two USS LCI(L)-37 crew members, including Angelo Fazzigano on the right, date and location unknown. 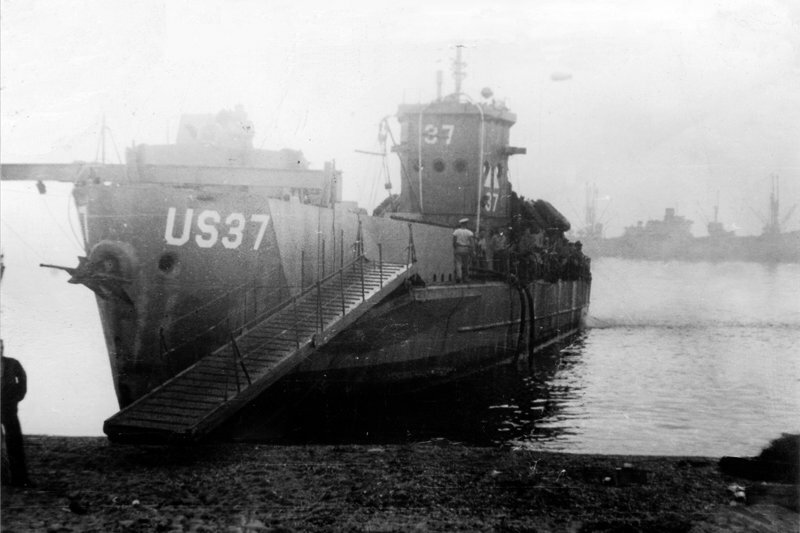 Glenn Burnett in honor of his Father Charles "Ed" Burnett SM3/cUSS LCI(L)-37. 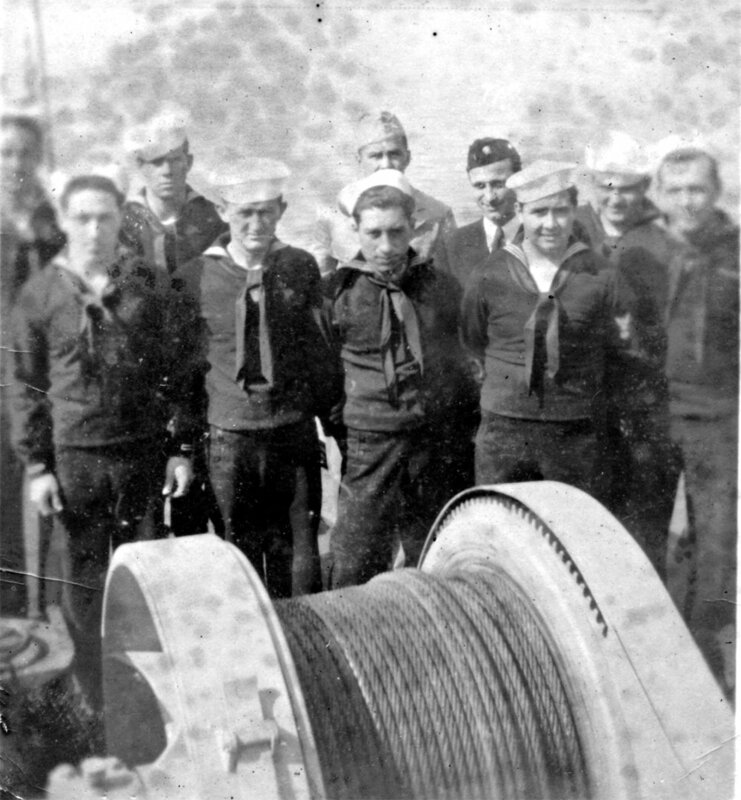 191k Partial USS LCI(L)-37 crew photo, date and location unknown. 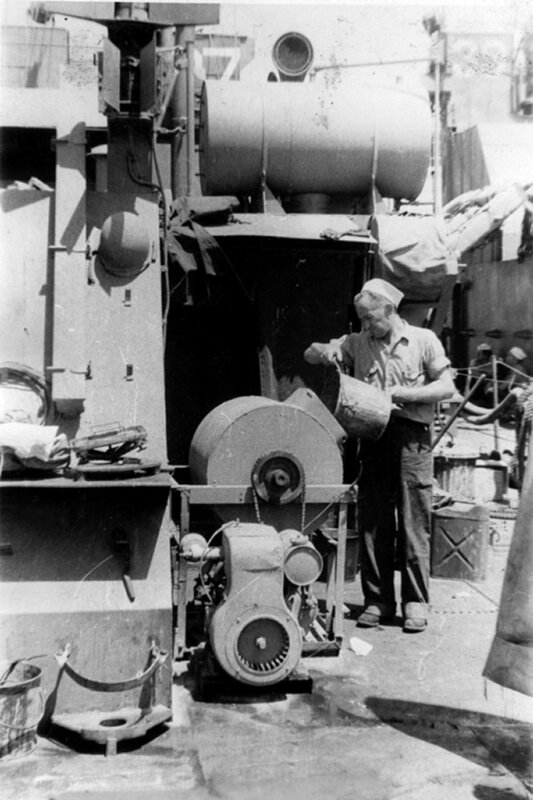 Glenn Burnett in honor of his Father Charles "Ed" Burnett SM/3 .